Our trainers can help students and instructors achieve success by teaching the technology skills needed in the classroom and beyond. We offer free technology training and project support to registered UW-Madison students and instructors. 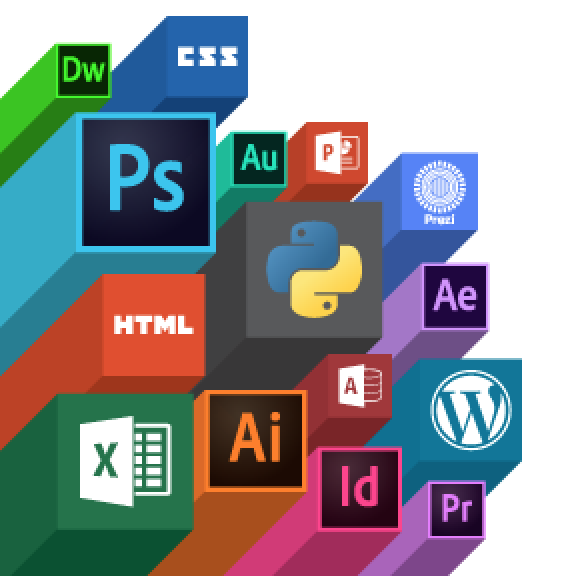 Any student with an active UW NetID can attend STS’s FREE software workshops on topics such as Photoshop, Excel and HTML. Our experts provide one-on-one consultations to assist with solving difficult problems or learning specific skills in a software program. We work with instructors and registered student organizations to tailor our workshops to meet your needs and schedule. Offers free access to a full library of self-study software tutorials on Lynda.com for everyone with a NetID. Custom Technology Workshops: We work with instructors to design and deliver custom workshops as part of the curriculum. Request a workshop! See the full calendar of upcoming technology workshops. In addition, self-study tutorials are always available on Lynda.com by signing in with your NetID.